The eForFuel Kick Off Meeting took place from April 5th to 6th in Berlin, Germany. 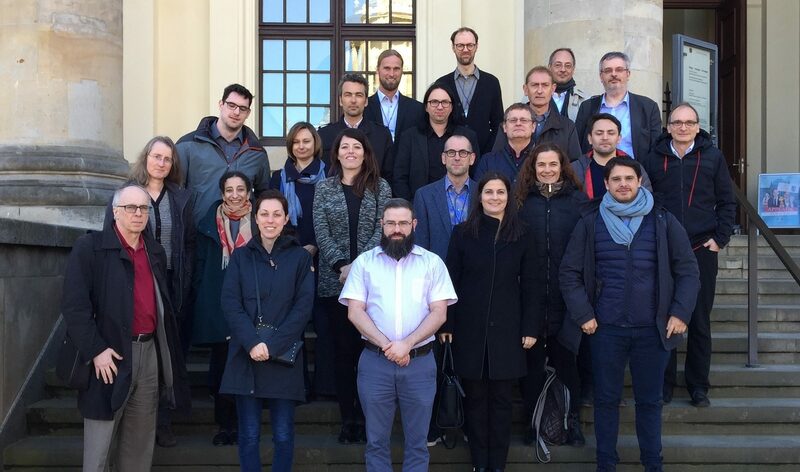 The meeting was hosted by our project coordinator (Dr. Arren Bar-Even and the Max Planck Institute of Molecular Plant Biology), so the consortium met at the Berlin Office of the Max Planck Society, located at the Wissenschafts Forum at Gendarmenmarkt. As this was the first chance to meet the partners face to face, key persons from 13 of our 14 partners travelled to Berlin in order to present and discuss their work within the work packages. Some researchers also skyped in to listen to the presentations and discuss, and Prof. Dan Tawfik, the principal investigator from the Weizmann Institute of Science, skyped in from Israel to present his contributions in different work packages. We had two highly productive days, filled with discussions, refining of goals, and inspirations to carry back with us.